This 2300+/- sq foot contemporary on private 1.46 acre lot. Lots of character. 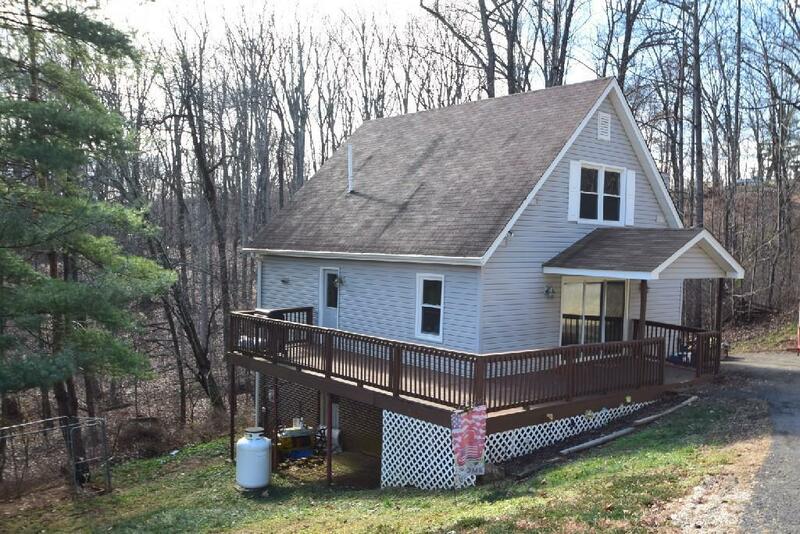 This home has 4 BR's, 2 full baths. Stone fireplace, kitchen appliances convey. Updated deck, siding, doors, windows. Great deal for the neighborhood.